Note: TR1 needs a wiper of dimensions 5x10cm for trouble free operation. This wiper in TR1, without insulator, after his central screw has electric isolation from remainder pins. 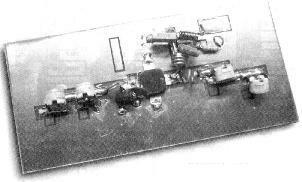 Linear FM 50Watt with BLY90 electronic circuit. RF circuit electronic circuits and schematics.